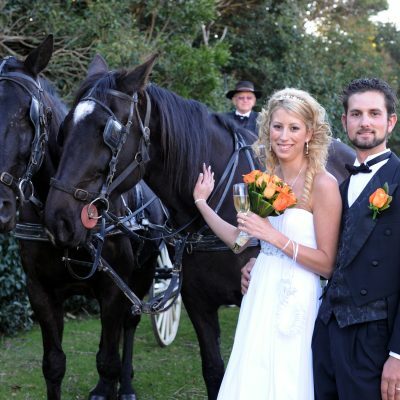 I’ve had the privilege of being part of some beautiful and creative weddings, and some outrageous ones also, over the years. 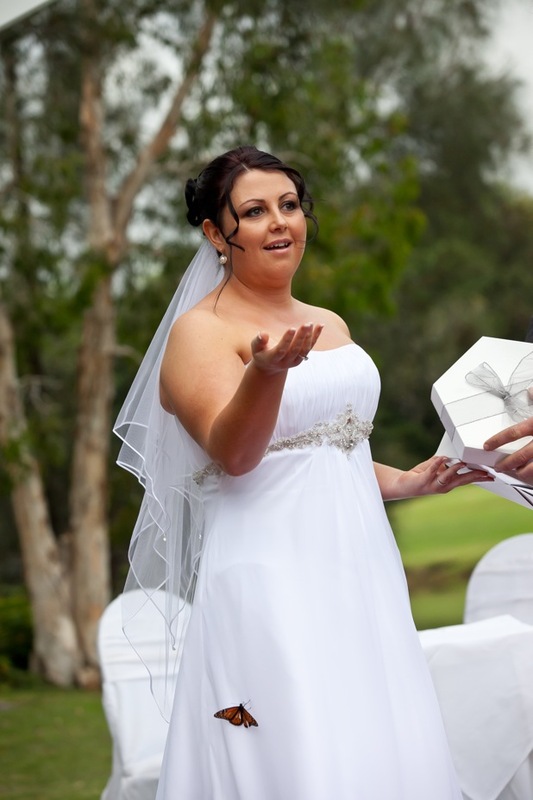 I have gathered together a collection of these creative ceremonies below as well as some less traditional wedding rituals which are popular in modern wedding ceremonies for you to enjoy and draw inspiration from. 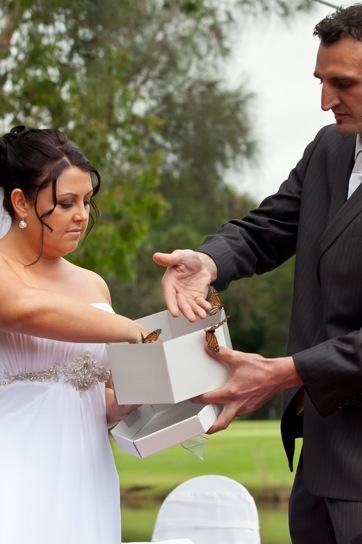 Butterflies can be released by the bride and groom on mass, or given to your guests for individual release. 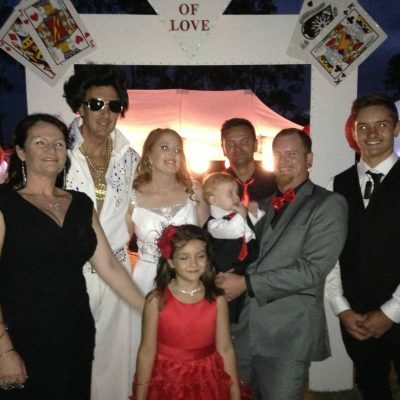 Why not have a table-top display and release cage for your family and friends to view throughout your ceremony. 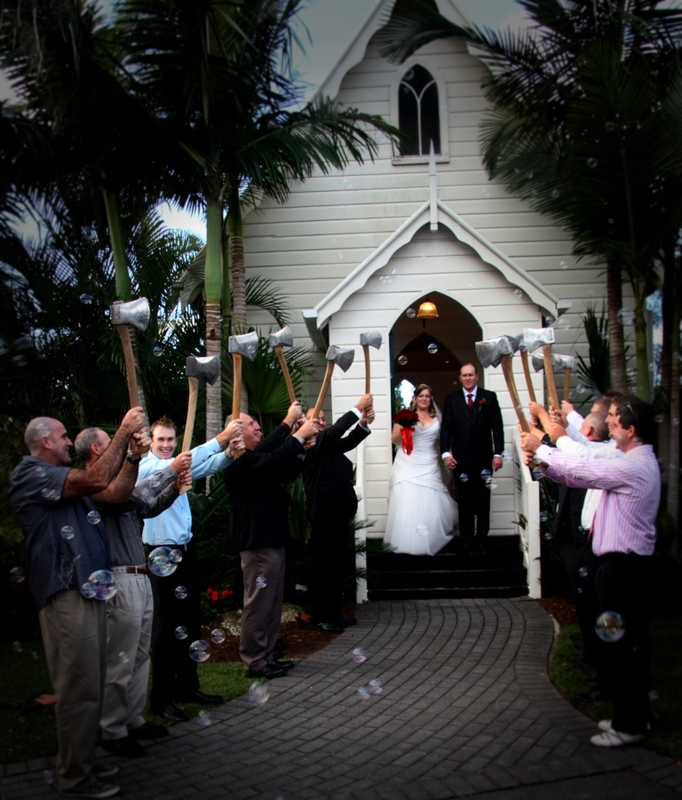 What a fabulous way to conclude your wedding day! 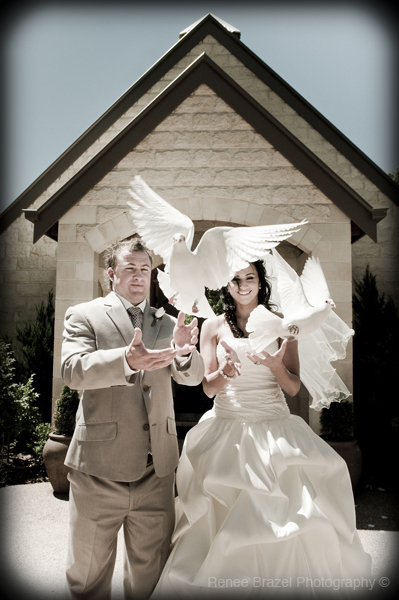 The release of doves in ceremonies extends the message of peace, the celebration of life, and the expression of love. Releasing doves uplifts the eyes, signifies new beginnings and true celebrations in flight. The lighting of a candle is a symbol of the union of your marriage, and the individual families from which you have grown. 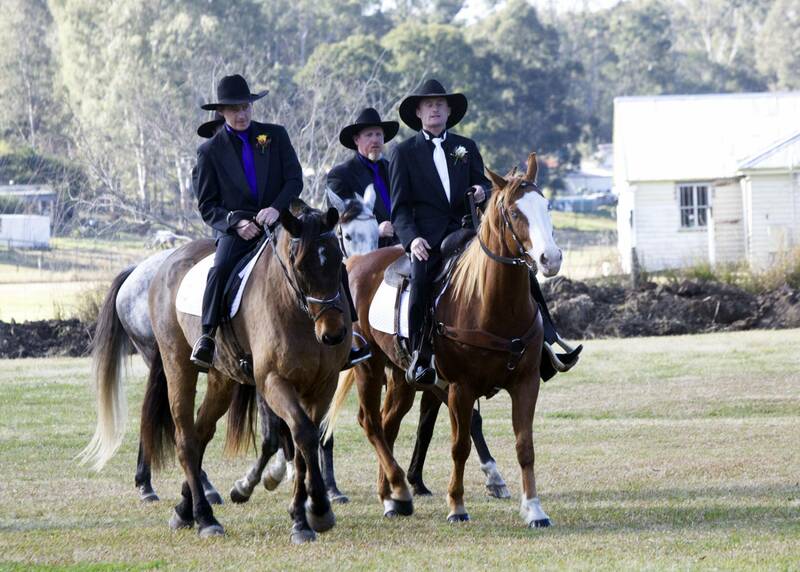 This ceremony symbolises the pledge of unity between the bride and groom and the merging of two families. 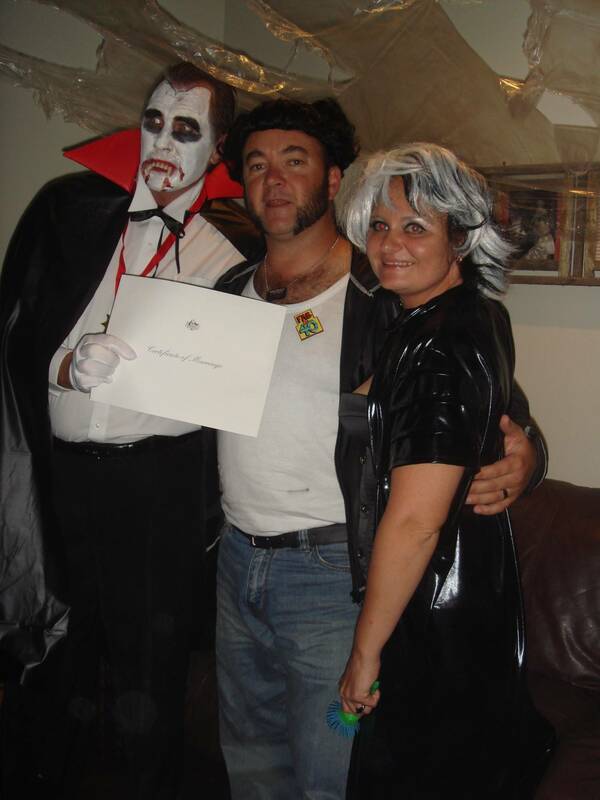 It usually occurs after the wedding vows, and before the exchanging of rings. Traditionally, there are three candles, the central unity candle, and two smaller outside family candles. To involve families the mothers of the bride and groom are usually asked to come forward and light the outside family candles. 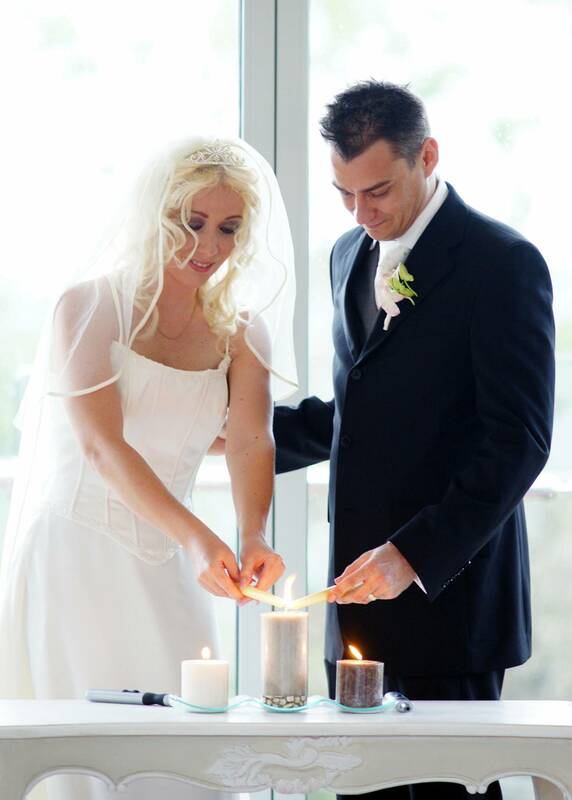 The bride and groom then each take a light from their individual family candles and together they light the centre unity candle. They may then blow out their individual family candles to symbolize the extinguishing of their two single lives. Or, as is more common today, they may keep those candles burning to symbolise their individuality, even though they are united in marriage. 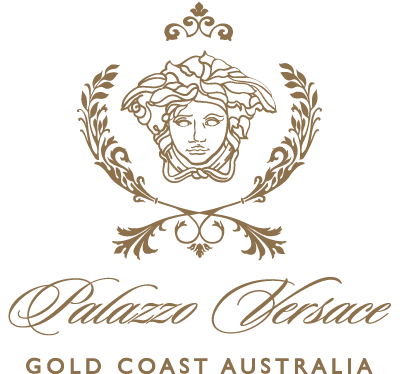 Please contact me for more information, I am happy to provide this to you. This modern day ritual symbolising a couples unity is becoming more popular in today’s weddings. Apart from the visual excitement for family and friends it also personalises your ceremony and becomes a keepsake and reminder of your special day. The Sand Ceremony is better suited for beach weddings although can be performed at any ceremony location. Sand is used to symboilse the uniting of the bride and groom. Their separate lives are symbolised by two vials of sand (usually different colors). After the exchange of rings, the officiant explains the meaning of the Unity Ceremony. The Bride and Groom then come together, and pour into one common vial, the two individual vials of sand. Their flowing together symbolises the joining of the couple as they share their first experience of unity as husband and wife. The newly formed union is represented by the intertwined pattern of sand created by the couple. This ceremony can be shared with parents and children, simply by adding additional colours, symbolising a loving bond and inseparable family union. 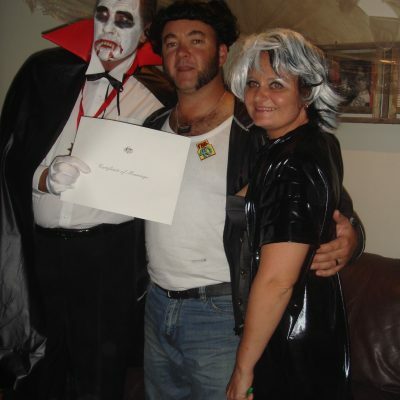 This was a stormy pre – Halloween night with everyone in costume including me. Nobody knew that Tim and Jo had staged their wedding around the party. 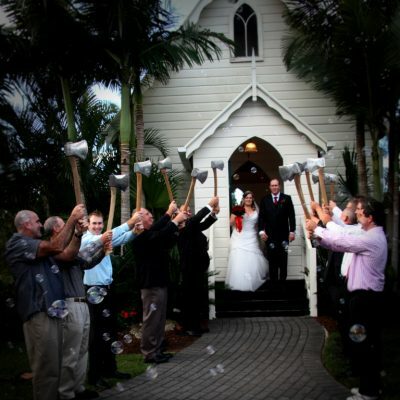 When Clayton (a professional axeman) married Jana they walked through a very unique guard of honour created by fellow axe men. 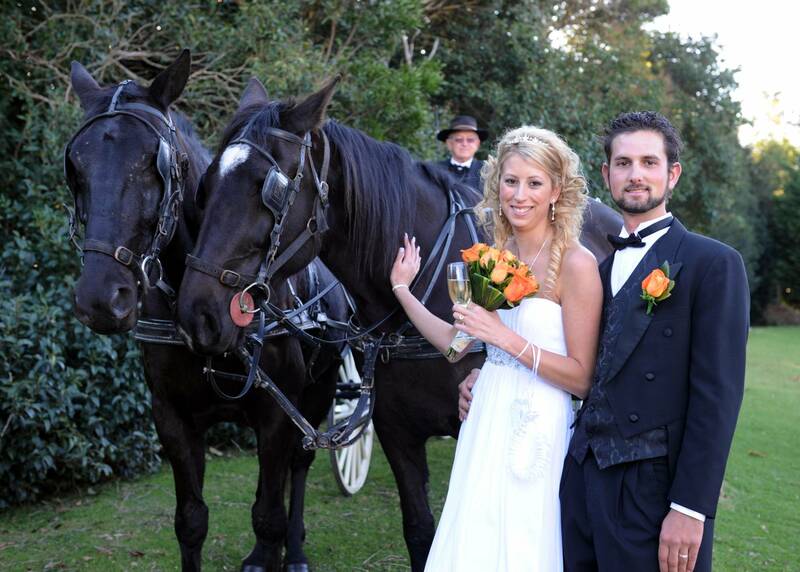 Like Cinderella, Jasmin arrived by horse and carriage to join with her prince charming when they united in marriage on Tamborine Mountain. 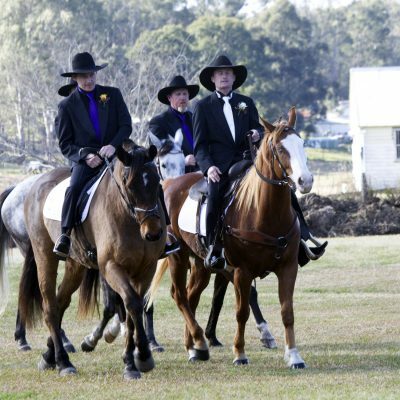 Rodney and Melanie chose a country style wedding with the groom and groomsmen arriving on horse back, while the bride and her attendants styled out in a stretch Hummer. 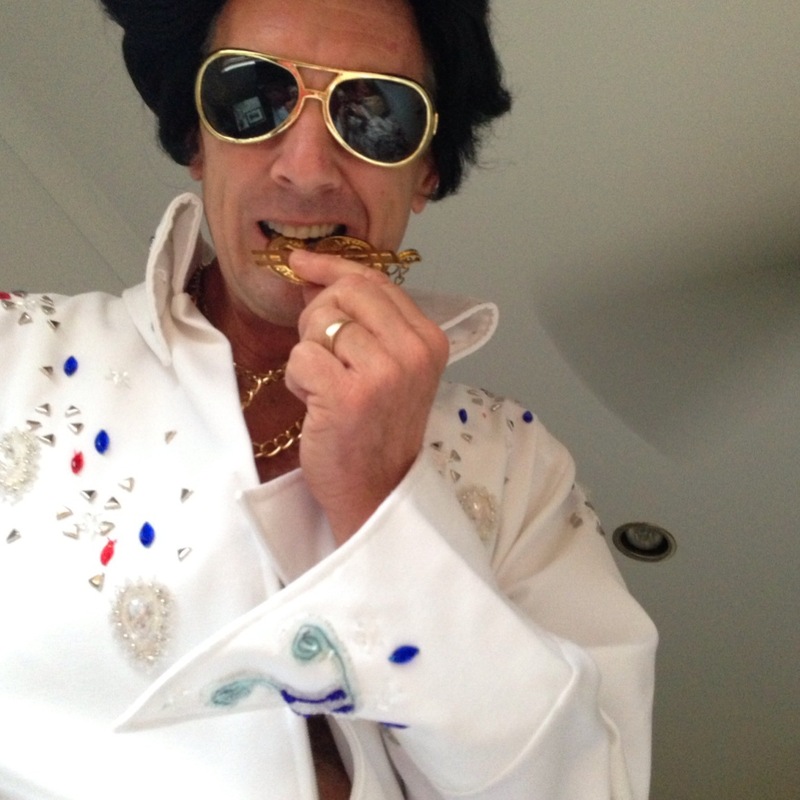 Fancy dress weddings can be a lot of fun, especially when Elvis arrives. 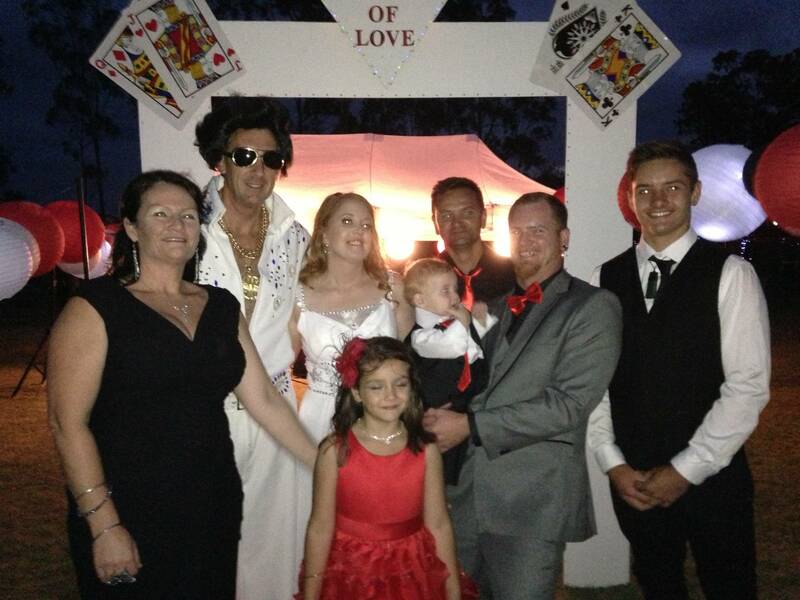 A Vegas themed wedding ceremony on a private property with Elvis in the Chapel of Love. A woman can propose to a man in a leap year on February 29th. In Anglo-Saxon times it was considered lucky if a couple married in a leap year.